When Dr. Daniel Baxter arrived in Botswana in 2002, he was confident of the purity of his mission to help people with AIDS, armed with what he thought were immutable truths about life—and himself—that had been forged on his AIDS ward in New York City ten years earlier. But Baxter’s good intentions were quickly overwhelmed by the reality of AIDS in Africa, his misguided altruism engulfed by the sea of need around him. 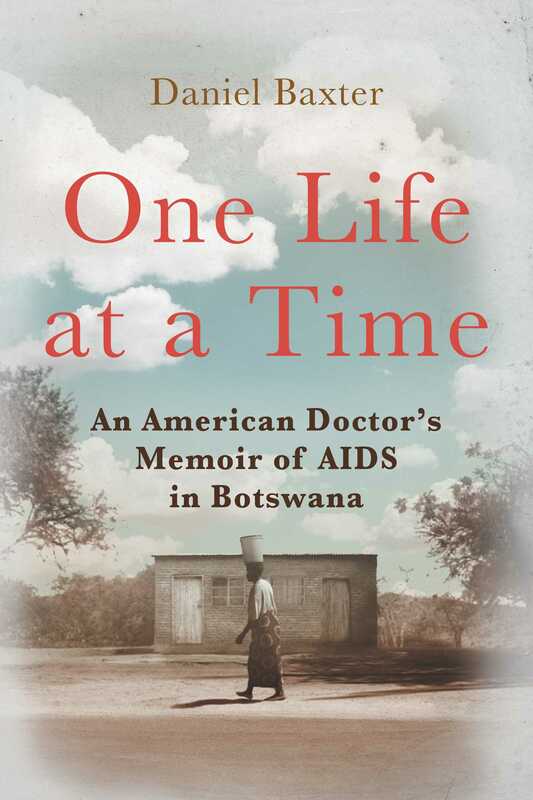 Lifted up by Botswana’s remarkable and forgiving people, Baxter soldiered on, his memorable encounters with those living with AIDS, and their unfathomable woes assuaged by their oft-repeated “But God is good,” profoundly changing the way he thought about his role as a doctor. Now, after caring for innumerable AIDS patients for eight years in Botswana, Baxter has written an urgent, quietly philosophical account of his journey into the early twenty-first century’s new heart of darkness: AIDS in Africa, where legions desperately struggled to be among the spared and not the doomed. Part memoir, part travelogue, part chronicle of the zaniness of Botswana (one of the questions on his driver’s license application was “Are you or have you ever been an imbecile?”), and part witness to suffering unknown to most Americans, his testimony is an unforgettable tribute to the many people he cared for. Join Baxter on his life-changing journey in Botswana, as he recounts the stories of people like Ralph, a deteriorating AIDS and cancer patient who nonetheless always wore a smile, or Precious, a woman found sick and abandoned in the capital’s slum, or “No Fear,” a rude man in Baxter’s gym whose descent he halted. After many years on the front lines of the African pandemic, Baxter realized that “one life at a time” was the only way to fight AIDS. "In 2002, Baxter (The Least of These My Brethren: A Doctor’s Story of Hope and Miracles on an Inner-City AIDS Ward, 1997) traveled to the African nation to manage a new program intended to help the many thousands of Botswanans infected with HIV/AIDS. Brimming with “naive altruism” and certain that his experiences treating HIV/AIDS patients in New York had prepared him for the task, he was soon confronted by a crisis more massive than he had imagined. The author observed his patients from a distance, dutifully pronouncing their lives to be even more important “than those of people in the States.” But his interactions with his patients soon made him see the “arrogance” of his attitude. One of Baxter’s first patients was Comfort, a 10-year-old girl suffering from malnutrition and an undiagnosed case of HIV. His intervention helped Comfort regain some of her health, but Baxter could do nothing to stop her family from letting her die because they considered her “an albatross, a burden.” To the author’s enduring shame, he realized that his “grand gesture” had been more important to him than Comfort’s fate. As he learned how to navigate cultural differences and dispense with his own egotism, Baxter also witnessed the many problems inherent in the Botswana medical system, including shortages in qualified staff and medicines. He returned to the U.S. in 2008 believing he had come to “a new awareness about...the suffering that all of us endure.” Instead, he found American patients to be demanding and the American medical system “dysfunctional beyond words.” A second sojourn in Botswana helped him finally come to terms not only with his attitude toward the American medical establishment, but also the deeper, more personal meaning of his time in Africa. Rich in memorable patient portraits, Baxter’s book is at once a meditation on lives saved and lost as well as a testament to the challenges inherent in humanitarian work. An honest, moving memoir giving voice to those without one."